Getting surgical steel eyebrow piercing has become a common way of enhancing the beauty. This is especially with the youngsters and it gives a very funky and cool look. These surgical steel eyebrow accessories really make you stand out in the mass. In addition, the surgical steel jewelry is just not in trend, but it has been the more popular choice by most of the people. Piercing the eyebrow is a wild style statement and is achieve by bold people all over the world. Eyebrow rings are available in a wide range of varieties with different shapes and designs. Using accessories that are made surgical steel are always a customer’s first choice. These are available in the market at a cost that anyone can afford. The retailers also provide their customers with custom made eyebrow jewelry. One can customize the designs that would go according to your look. 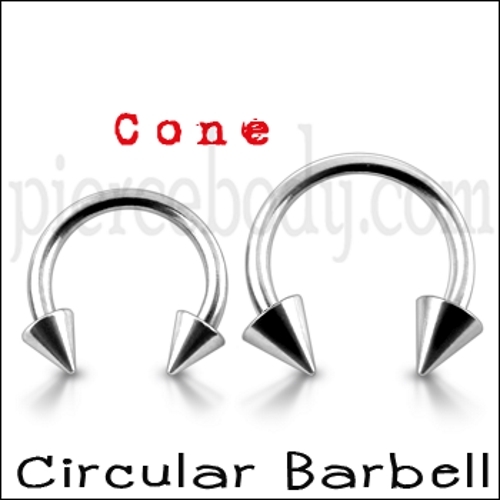 Mainly used as eyebrow piercing, nose piercing, and surgical steel belly button rings. The different shapes and color of the barbells gives a very attractive look and embellish your body for style and fashion. 316 surgical steel are used to prepare eyebrow jewelry. It’s available with more vibrant colors and crafted designs. It’s an eyebrow accessory for daily use due to its easy open facilities. All together with the surgical steel eyebrow accessories, you can get a new look for your personality. The eyebrows and also tongue piercings are particularly sensitive to metal allergies and infections and you do have to take care when you decide to add a piece of jewelry to these piercings. Piercing jewelry goes through a wound and hence the body tissues are in contact with the metal surface. It is very evident that you can’t just wear any material you fancy. In fact, it is very dangerous to wear any unsafe material in delicate body parts like earlobe or lips. Steel is a common jewelry material. However wearing any kind of steel material may also not be advisory because some of the alloys contain nickel which is harmful to the skin. It can cause skin infections and allergies. This is why ASTM recommends few specific grades of steel which would be perfectly suitable for first-time wearers. One of the top quality steel grades is the 316L surgical steel. However wearing any kind of steel material may also not be advisory because some of the alloys contain nickel which is harmful to the skin. It can cause skin infections and allergies. This is why ASTM recommends few specific grades of steel which would be perfectly suitable for first-time wearers. One of the top quality steel grades is the 316L surgical steel. Piercebody.com is concerned about your safety too, which is why it brings you an enormous array of beautiful jewelry carefully crafted out of 316L surgical steel. The name indicates its safety factor and you are free to wear this understated yet elegant rings, studs, and eye piercing jewelry both to office and social occasions.